The idea of using a low mount dipole, enhanced with reflector wires directly beneath the dipole, on the ground, appears to be a very good approach to creating an NVI specific antenna for local HF operation. The resource is currently listed in dxzone.com in 2 categories. 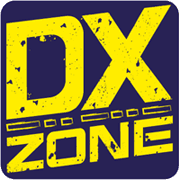 The main category is Antennas for 40 meters band that is about 40 meter band antennas projects. 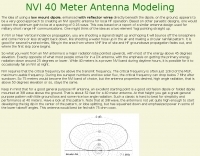 This link is listed in our web site directory since Friday Jan 23 2009, and till today "NVI 40 Meter Antenna Modeling" has been followed for a total of 2856 times. So far no one has rated yet, so be the first to rate this link !